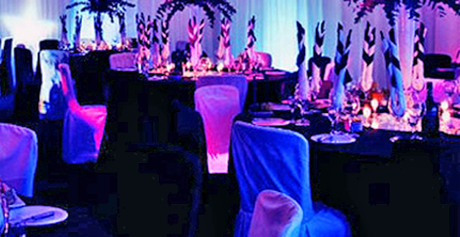 HWS (Headline Wedding Services) offers bespoke and professional services to couples who are planning to get married. We offer our services across a wide area from North Wales to the Scottish Borders, from Lancashire, Cheshire & Cumbria to Yorkshire. 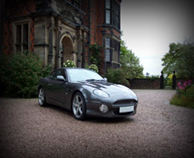 Aston Martin, Wedding Lighting & Professional Wedding DJ Hire. Available separately or as part of mixed packages! 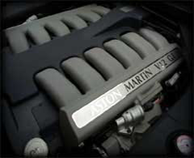 Hire this very rare V12 GT to transport the Groom on his Wedding day. Only 190 ever produced and with the ability to carry 3-passengers, unlike many 2-seaters. 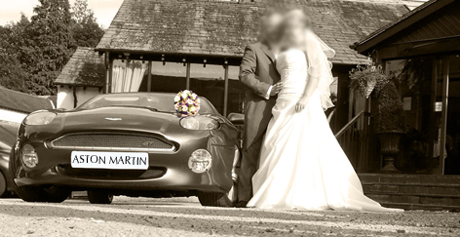 Non-direct routes, free photos, in-car favours and a free genuine Aston Martin gift for The Groom! 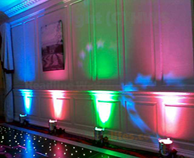 Vivid colours or subtle hues, we can tailor the wedding lighting to suit your needs or match your venue theme. 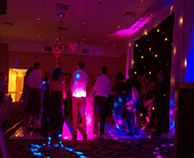 We can provide a stand-alone lighting service, or a DJ & lighting package. 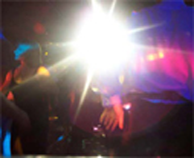 If you use your own DJ we can provide them control access. 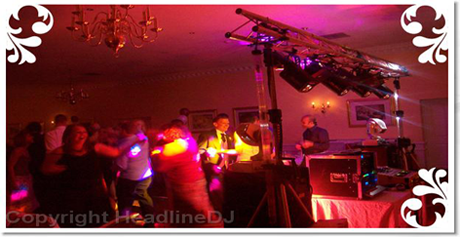 HeadlineDJ operates as a Professional Wedding DJ service. Apart from a few special requests we have only ever performed at Weddings. Therefore when we state we are Wedding Professionals, we really mean it. Get in touch to discuss your wedding music. HWS have been helping couples celebrate their biggest day for many years. 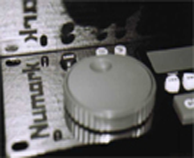 We always endeavor to work beyond your expectations and are happy to help you make a saving!! By taking multiple services from one company, you can save both time and money. Dedicated to making your special day perfect! 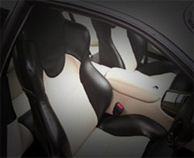 From the start of my enquiry until the day, the service was absolutely brilliant. HWS could not have been more helpful. HWS was punctual and spent a lot of time making us feel special. 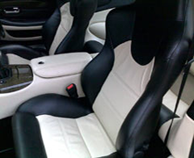 I would not hesitate in recommending the HWS to anyone, I would certainly use HWS again without hesitation. It wasn't cheap for this service and took some consideration for me to book this, but compared with a lot of companies that I researched HWS provided a much more attractive price and package and considering how special this was for my husband I am very pleased that I did. All the guests loved to see (and hear) the Aston, look at the engine (the guys!) and hear about the history of the car. 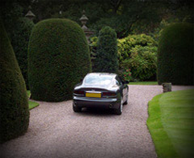 We would highly recommend the service to other couples looking for a wedding car with a difference. Hired the Aston Martin as a surprise for my fiancé, to take us both to the ceremony. So glad I did it added a lot to our special day. HWS also provided a genuine Aston Martin gift for my fiancé. We both loved the trip in the Aston. When arranging this surprise HWS was very accommodating, patiently communicating through my work e-mail so that my husband would not find out about the surprise. He also contacted me the day prior to the wedding to confirm all the details. It was the best present I gave my husband on the day. HWS provided an Aston Martin for my husband as a surprise on our wedding day. The car took him to the Church via a scenic route that helped my husband to experience the power of the vehicle! Needless to say, he absolutely loved the experience and was so happy on our special day. We couldn't get over how great the room looked when we walked into it and also what an amazing improvement the uplighting made to the room our reception was held in. Many thanks for all of your help and the fab lighting at our wedding. "Absolutely fantastic, what a wedding present" was my husbands words when he got to the venue. I booked this a suprise for him and he loved every minute of it and all the little extras, playing his favourite songs, stopping for photos and the free gift. Worth every penny, highly recommended. Planning a Wedding you need help with? Please enter as many details as possbile, so that we are able to reply with accurate information tailored for Your Wedding Day! © - HWS - Headline Wedding Services. All Rights Reserved.